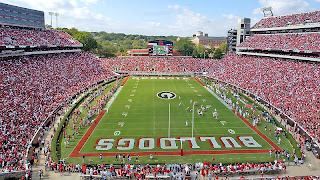 Full listing of the games for UGA is below. I didn't notice, but I'd guess Georgia will be in some of the other team's showings as well. I'm looking forward yo that 1980 South Carolina game. I don't think I've ever seen it replayed.